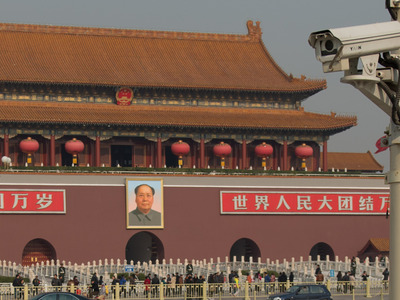 Ed Jones/AFP/Getty ImagesSecurity cameras look out over Tiananmen Square before Tiananmen Gate. 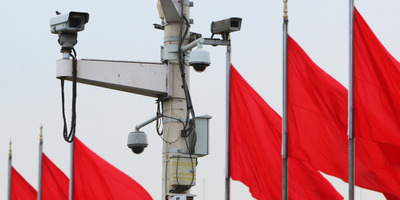 The Chinese city of Guiyang said its facial-recognition software allows police to identify and arrest suspects in as little as two minutes. Cameras are placed in more than 10,000 public areas and send surveillance feeds to police in real-time, identifying individuals, their family members and where they have been in the last week. A BBC reporter tested the system in December and was identified and captured within seven minutes. The surveillance cameras are set up in more than 10,000 public places across the city, which is larger than the city of Perth, reported the state-run newspaper Global Times this week. The cameras stream real-time footage back to a huge LED screen – 22 metres (24 yards) long and 5 metres (5 years) tall – which is monitored by police. The system, which has a 90% accuracy rate, simultaneously checks faces against a nationwide database and can almost immediately provide a person’s name, age, gender, ethnicity, as well as information including family members, people they regularly meet, and places they have recently been. Currently, there are 170 million surveillance cameras in China and by 2020, the country hopes to have 570 million – that’s nearly one camera for every two citizens. Police are also developing AI-powered systems that, aside from recognising faces, can identify people from their repeated behaviours or even gait. Officials want to use this information to predict crime before it happens. Feng Li/Getty ImagesSecurity cameras hang on a lamp at Tiananmen Square, Beijing. 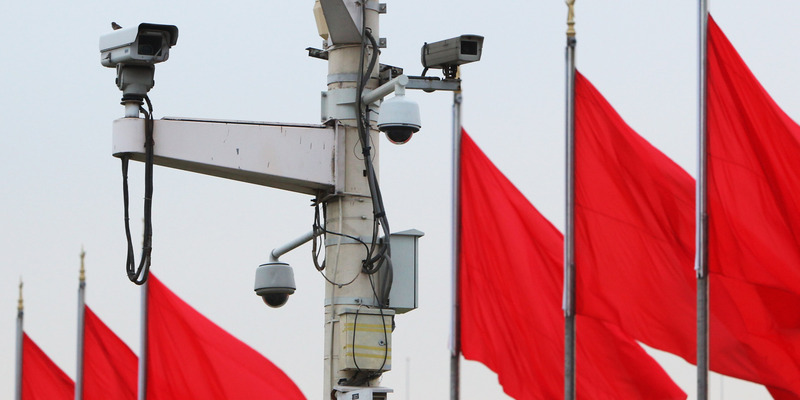 China has begun hitting back at human rights concerns over its expanding surveillance and facial recognition technologies. Part of the issue is that the government in China defines a person’s right to privacy differently than Western countries. Its this approach to privacy that, until recently, has been a huge driver in China’s soaring AI sector, according to a report out this month from Oxford University. Lax privacy protections have allowed Chinese companies to access masses of data to develop AI and technologies like facial recognition technologies because “sharing among government agencies and companies is common,” the report said.